In order for you to get an idea of what this exceptional book is about we’ve included a format that lets you access the detailed Table of Contents, an extensive Introduction, and excerpts from every chapter in the book. 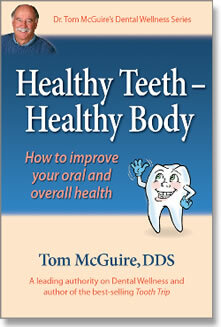 As you will see, the material is extensive and covers a great many oral health issues. If you are sincere about eliminating gum disease and tooth decay and improving your oral and overall health, we encourage you to Browse the book.